My name is Peter Kreuser and this is a collection of some projects and things that I wanted to share with you. My contact information and some words about me are available in this first post. After riding my rigid 29er for 2 years as my only bike, I was beginning to feel the limitations that its size and weight had on my ability to travel longer distances. 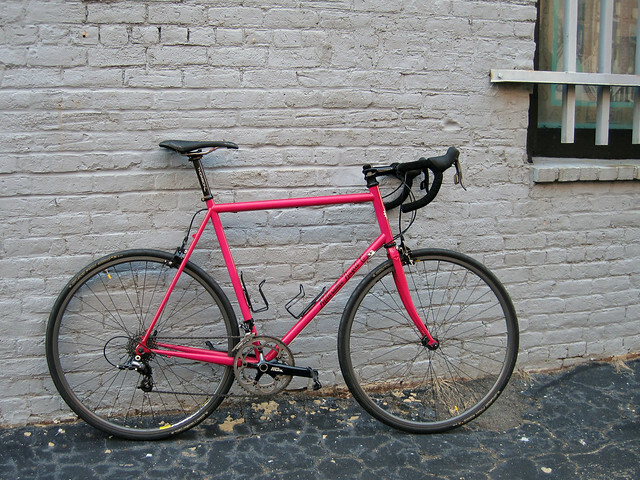 While still the perfect city bike, I decided I was ready for a purpose-built bicycle for the road. 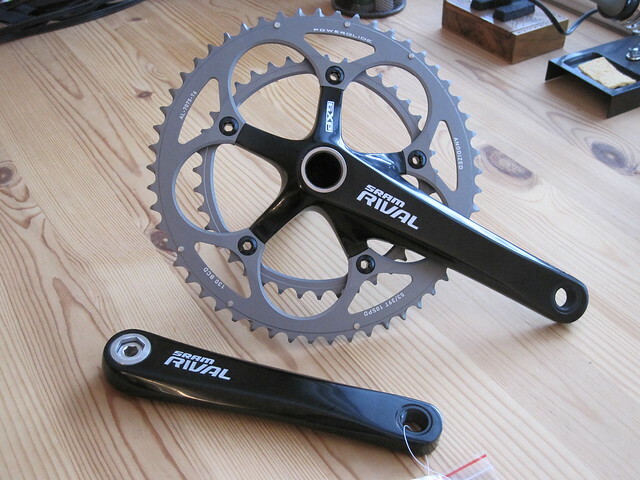 I began looking into what road bikes would suit my needs and budget, and realized I was going to have to decide between a more racing style carbon bike and a more classic steel road bike. I test rode some carbon bikes, and while undeniably fast, I found the style and versatility of steel frames more appealing. 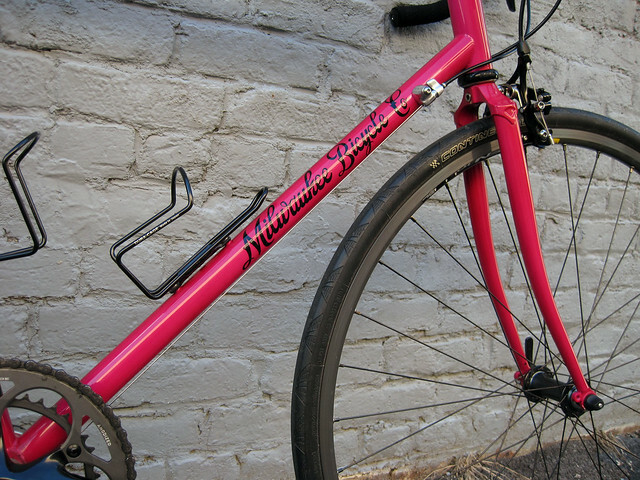 I discovered that Ben’s Cycle, a bike shop in my hometown of Milwaukee, WI, recently started building road frames after prior success with single-speed and track frames. 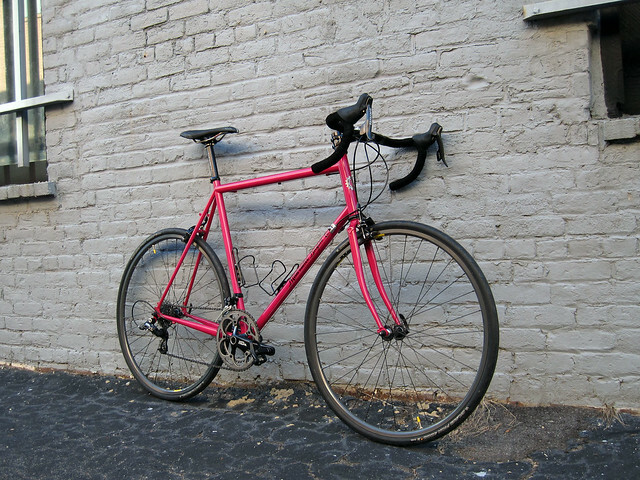 Their road frame appealed to me as I could build it up as a capably fast road bike, but still have some flexibility for touring with its larger tire clearances and rack mount options. 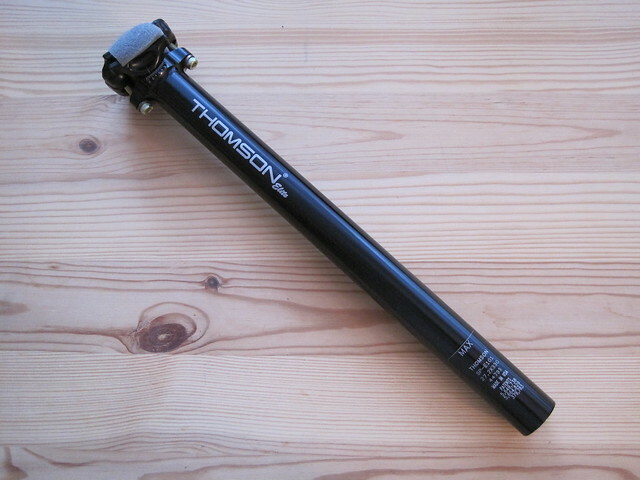 After some final research I decided to go with it and ordered a 62cm frame built from True Temper Verus tubing with rack and fender mounts added. While waiting for the frame to be built, I began researching and ordering all the other components I would need to complete this bike. I spent countless hours comparing different parts and their specifications to make sure they would fit together and give me the best value and performance for my budget. I ended up getting many parts from Ben’s, including a hand-built wheelset, as they offered a parts’ discount with any frame purchase. The rest mostly came from eBay and other online retailers. 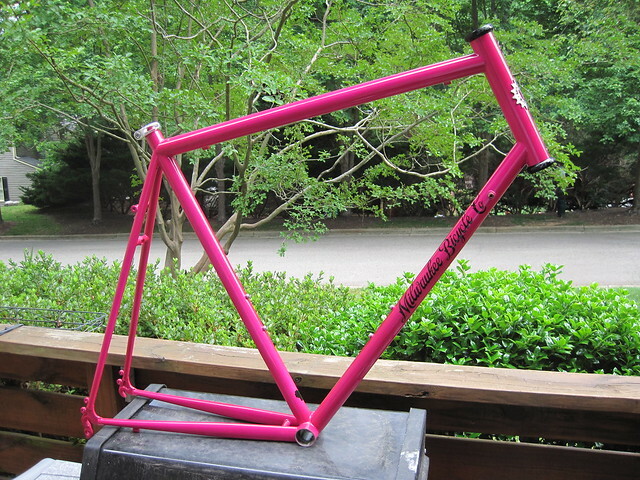 After about six weeks I had received the frame and all the parts and was ready to assemble them. Though I had considered building the bike myself, I didn’t feel completely comfortable with some of the steps and decided to let the professionals at All-Star, my local bike store, handle it. I’ve now put close to 800 miles on this bike over the 3 months I’ve owned it and am overall extremely pleased with it. It’s been perfect for riding after work on the more rural roads near my house while challenging myself to keep my average speed up. I’ve also taken it on a handful of 50+ mile rides and found it quite comfortable. The color is one of my favorite things about it and is what most people seem to notice first. I haven’t been able to really accurately capture it in a photograph, but it is a rich magenta in any indirect light and a sparkling hot pink in the sunlight. I feel that the custom-ordered color really drives home that this bike was completely designed and built for me, and that gives me an even greater sense of pride when riding it. See the gallery of this bike here and the gallery of its components here.